Dubai, March 18, 2018: Curtin University Dubai has announced the winners of their inaugural Curtin Urban Arts Festival, a creative event with workshops, masterclasses, and competitions that challenged the artistic abilities of students in the UAE. Winners were selected from more than 300 entries from leading schools and colleges across the UAE. 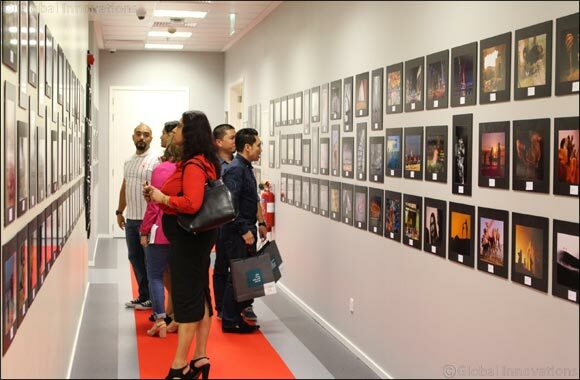 In the Photography Competition, Donell Gumiran was declared winner in the General Category and emerged as Curtin Dubai’s Photographer of the Year. Sumiksha Chakraborty from St Mary’s Catholic High School won the School Category Photography Competition. In the University Category, Kate Roska from Curtin University Dubai won first place. Al Diyafah High School students Akshita Bhatia, Alesha Saldhana, Diya Sanjeev, Roshni Kukreja won the graffiti competition that let students create a mural of their own graffiti art at the Curtin campus in Dubai. Some of the talented entrants will also have their work displayed at Muse Artz Gallery, Hungarian Games, and at Uninest Student Residences. Students from leading educational institutions across Dubai participated in the competition, including Manipal University, IMT, Amity University, Curtin University Dubai, Murdoch University Heriot Watt University, S P Jain, Middlesex University, BITS Pilani, SZABIST and American University of Sharjah. For K-12 Students, Arab Unity School, the GEMS Group of Schools including GEMS Modern Academy, GEMS Our Own English High School, GEMS Wellington, Al Diyafah, Dubai National School, Emirates International School, Westminster, Delhi Private School and St Mary's entered the competition. The judging panel included photography experts from Nikon and DIAC, amongst others, who evaluated the entries based on their creativity and skill. The prizes include Nikon DSLRs sponsored by Nikon UAE, and six months of free residence for two deserving university students, courtesy the Uninest Student Residences.